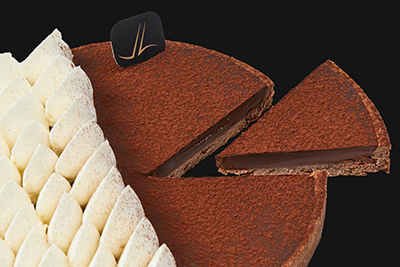 Jenna Leurquin Patisserie was created to offer a “haute couture” experience in the culinary world. The creations are inspired by the seasons and the trends are represented through collections. With this original approach to pastry, we work on revolutionizing even the most firmly entrenched traditions. 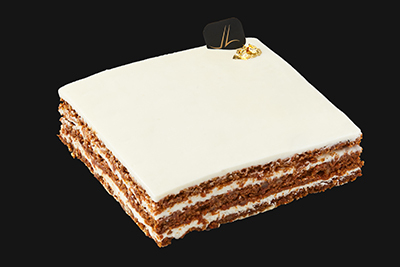 As we first eat with our eyes, our objective is to create pastries that stands out and are visually innovative. Further, we focus on delivering the highest quality of pastries utilizing the best ingredients. This commitment involves respecting each ingredient and baking in the tradition of high French and European pastry making. Because we consider pastries the most indulgent food, we are on the quest to create pastries in which sugar is brushed aside to reveal the nobility of the composition. Being able to balance acidity, sweetness and bitterness by utilizing the nature of each ingredient is what we strive for. Hence the importance of seasonal flavorful ingredients, total respect of the product in its most natural form, and a detailed baking process. While sweet childhood memories and traditional flavors are the inspiration, we innovate our pastries with the newest ingredients and with a sense of simplicity and exclusivity. After double‐majoring as a golfer student athlete at Boise State University, Jenna realized the world was demanding of fresh wholesome foods. Being part of those who believe in the importance of quality ingredients and artisanal practices, Jenna went on to Paris to learn how to become a chef. 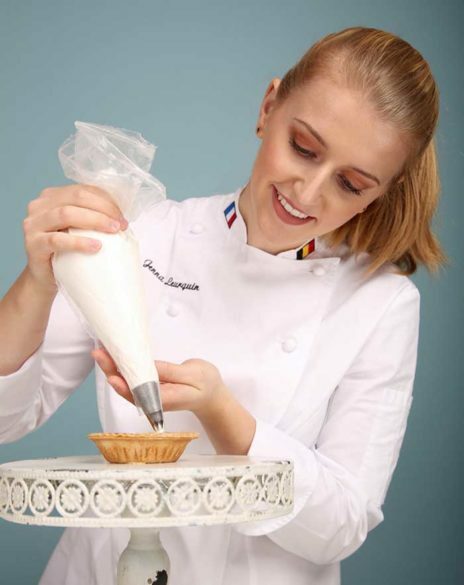 She started by following a 9 months training program at Le Cordon Bleu Paris in both cuisine and pastry before going on to training among some of the best chefs in Belgium and Paris. 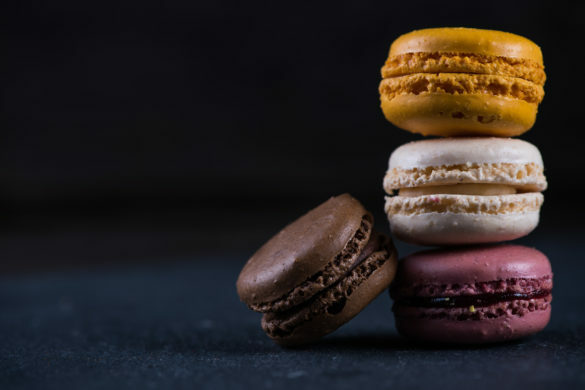 Passionate of pastries that can combine flavors and texture, Jenna stresses the importance of savoir faire without neglecting her most important role; satisfying our clients. 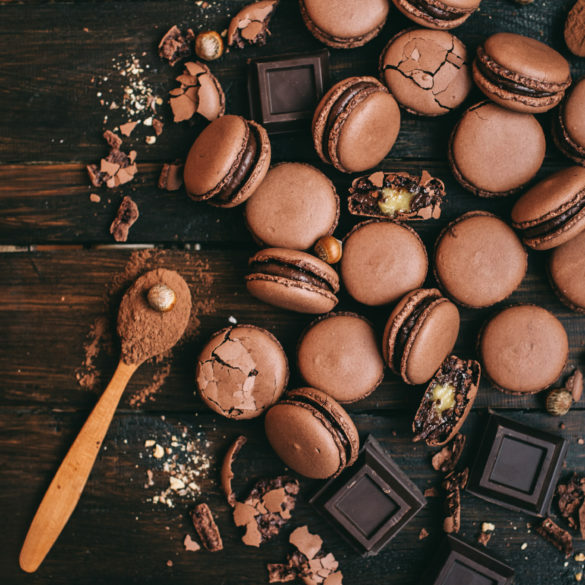 While developing her style, Jenna let herself get influenced by her travels and encounters to innovate the traditional pastries that she says “bring back all of the best memories”.